So, we're getting in the groove of this. But, do our efforts really matter? Yes. Here's one way saving water reduces our carbon footprint right here in New York City. In NYC, one of the biggest water problems is Combined Sewer Outfalls (and Overflow). The sewers that take the rainwater off the streets also receive the used water from your bathroom and kitchen. So when it rains a lot, the water treatment plants run on overdrive, and even use "outfalls" (pipes dumping right into NYC's rivers) to keep the plants from overflowing. So if you save water, a really big thing you are doing to lower your carbon footprint is reducing the stress on the sewage treatment plants. It also keeps all our local waters cleaner (which my sister, an environmental scientist at U. Mich. specializing in the role rivers play in the carbon cycle, says also makes our rivers emit less carbon!) So, keep your water-saving efforts going strong! 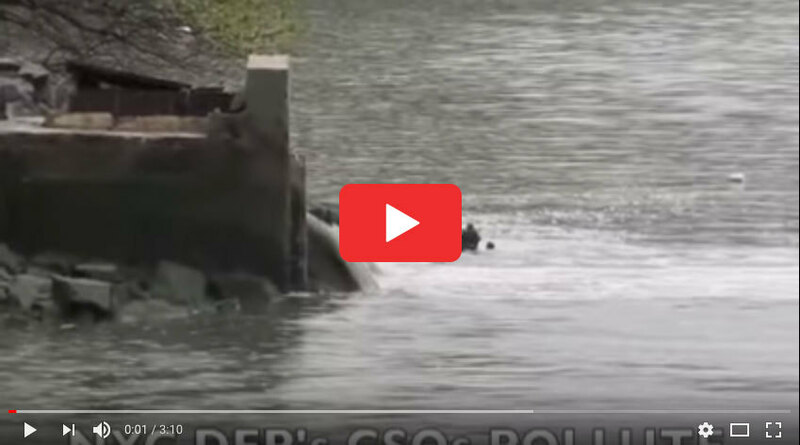 Here's a video about those Combined Sewer Outfalls. In tomorrow's video, we'll hear from Advent member, Elba, about water access in Puerto Rico. If you have already made one, spend some time there today meditating, praying, or reading the Bible. Possible verses to reflect on are Mark 1:9-13, Deuteronomy 1:9-40, or Acts 13:16b-25. How do these connect to your wilderness experience this week? If you have not made a "holy space" yet, (I have to confess my rock from Sunday is still sitting on my desk at Advent, so I'm in this boat) then that's your daily action for today! Find an item from nature outside and mark a "holy space" in your home.